I know, I know. It's Monday, not Friday. But sometimes life gets in the way of us letting you know about great free music. 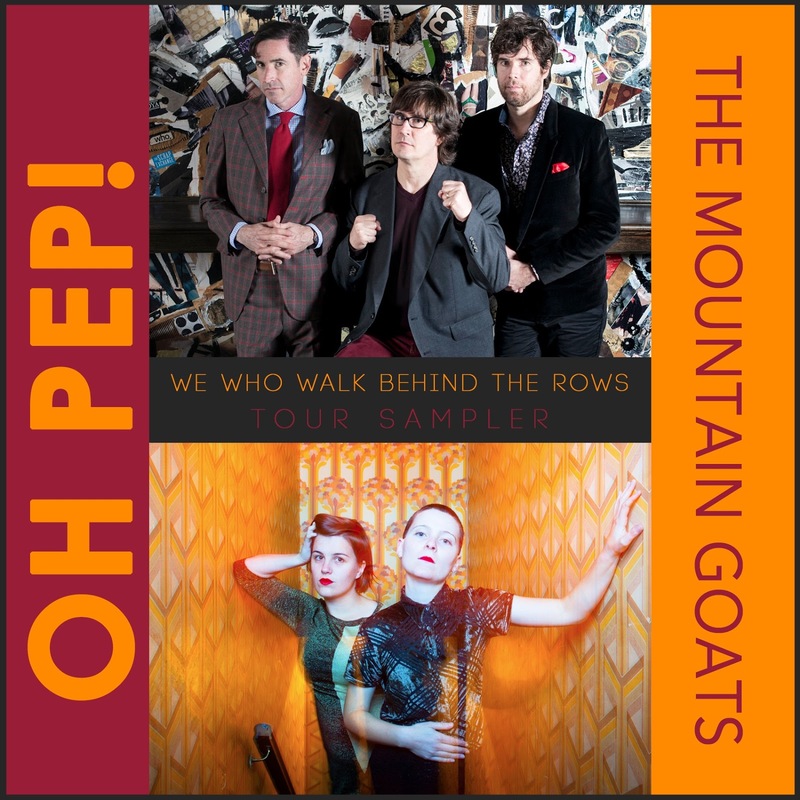 The Mountain Goats are bringing Oh Pep! out on the road with them next month and they've teamed to bring us the free We Who Walk Behind the Rows: 2016 Tour Sampler. It features four songs from each band, including Oh Pep! 's fantastic "Doctor Doctor" and The Mountain Goats' odes to wrestling "The Legend of Chavo Guerrero" and "Foreign Object." Oh Pep! and The Mountain Goats are a great pairing for a sampler and a tour. Oh Pep! 's dreamy take on folk pop is just different and similar to The Mountain Goats' more standard mainstream Americana to keep things interesting. You can get your copy of We Who Walk Behind the Rows: 2016 Tour Sampler for free via Noisetrade. For more information on Oh Pep!, check out their website. The Mountain Goats also have a website you should check out. We've also included their current joint tour dates below (even though there aren't any New England shows).